​Ole Gunnar Solskjaer's long-term future at Manchester United has finally been made clear as the Norwegian was promoted from their caretaker boss last week. But there are still questions over the makeup of their first-team squad, with many speculating there will be a summer facelift at Old Trafford at the end of the season. 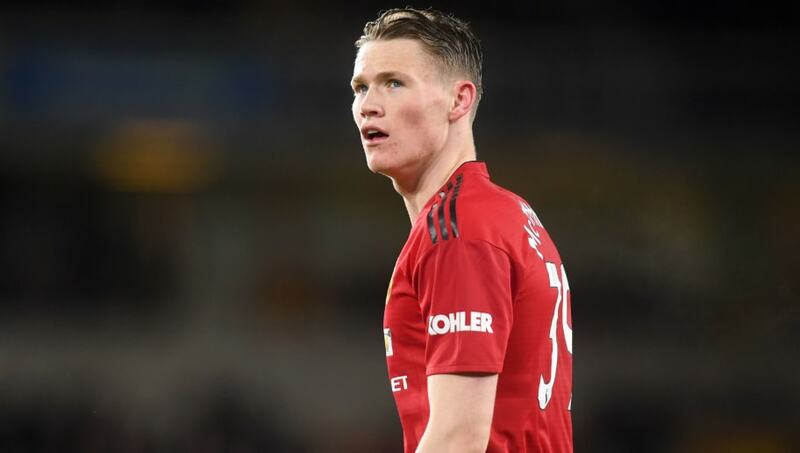 One of the key names at the heart of United's makeover is Scotland international midfielder Scott McTominay, with fans seemingly split over where he fits into the club's plans moving into their new era. While the 22-year-old hasn't broken into the team with a massive price tag attached to his name, or even a glistening track record from their youth teams like Angel Gomes and Mason Greenwood, he is going under the radar as an irreplaceable part of United's new generation. McTominay is living up to his reputation as a jack of all trades kind of midfielder, but the second half of that infamous saying is also true for him, as many struggle to pinpoint one area of his game that he has mastered. He does, however, bring a versatility to Manchester United which has been missing since Marouane Fellaini's departure in the winter, being able to play in his natural position in midfield while also filling in upfront of like more recently in defence. Jack of all trades, master of none. Doesn’t really do anything poor, but nothing great either. But he knows this and plays within his capabilities, which is all you can ask. Certainly can have a squad role for Manchester United. Additionally, the Scot brings important height and physicality to the heart of Manchester United's midfield, something which will become even more important as Nemanja Matić's exit looms. He's averaging more successful aerial duels per 90 minutes than the likes of Paul Pogba, Victor Lindelöf and even Matić this season, sitting behind just Romelu Lukaku and Chris Smalling in the club's rankings for dominance in the air. But it's not just physically that McTominay helps out Manchester United as his technical quality also puts him in good stead for a long-term place at the club. The youngster's close control also makes him an expert at drawing fouls from opposition players, winning on average as many free-kicks as Alexis Sánchez this season and more than Anthony Martial. McTominay can also do a job for the club defensively and he is just outside of Manchester United's best half dozen players in terms of blocks and interceptions. In possession, the Scotland international is averaging almost 30 passes a game from the heart of midfield with an 82% success rate - just 0.7% less than Pogba. While he still hasn't been able to really prove what he can do in the attacking third of the pitch - Tuesday's strike against Wolves was his first ever senior goal - he's still getting shots off at goal almost every game. But Solskjaer will need players to do the dirty work and go unnoticed during his tenure, and McTominay is better suited than anyone else among the ranks at Old Trafford to provide that platform which allows their flair players to thrive for years to come.